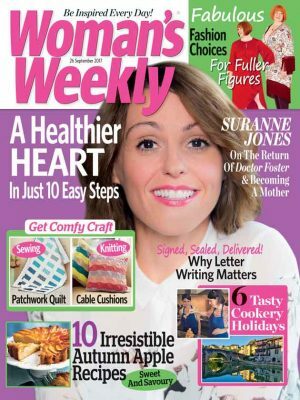 Our Home Editor, Emily Dawe, pictured below, and I greeted readers for our first ever Woman’s Weekly craft workshop held at our headquarters in London. 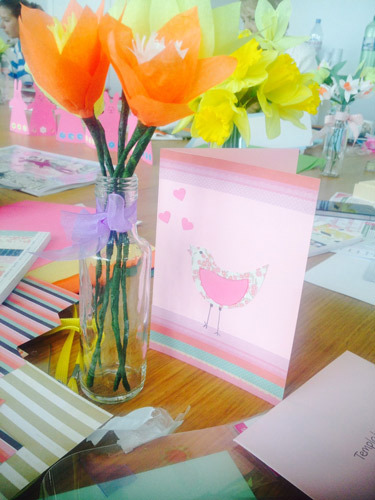 For an entire day, our readers were shown how to make paper daffodils to create gorgeous Easter flower posies in a vase, an Easter wreath of daffodils and Easter cards. 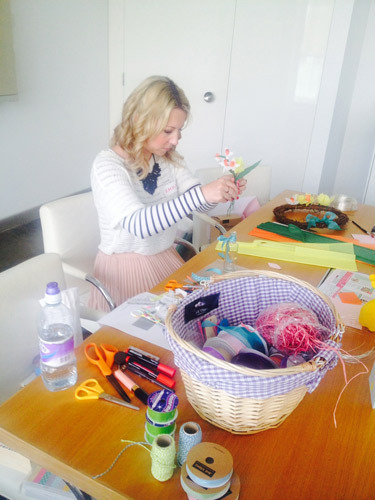 After coffee, Emily took centre stage and with each reader working with all their craft goodies from their welcome bag, she showed how to make different coloured daffodils using crepe paper, wire and garden tape. What was so wonderful about the day was that after Emily had demonstrated what to do, our lovely readers created their own designs. Bigger blooms, smaller blooms, different coloured daffodils. Ribbons were added to wreaths with the flowers, every make was unique. 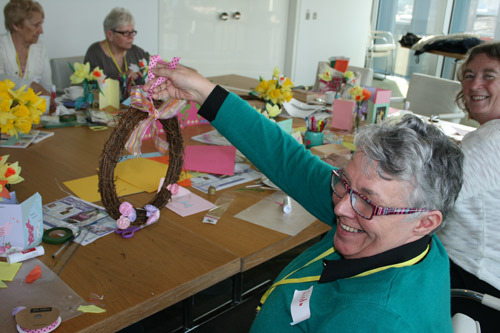 We sat, we made lovely things, we talked, all in one of our light and airy rooms in our building full of real daffodils and by the time we finished, paper daffodils too. 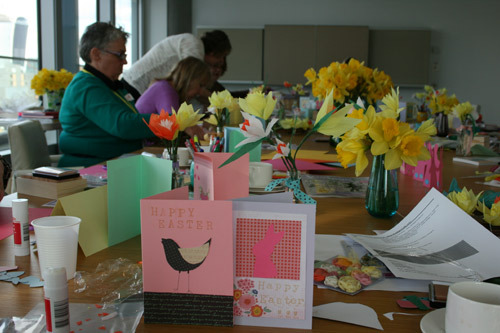 After lunch, we got on with card making, which everyone agreed, is more popular than ever. Again, Emily showed how it was done and then the vast array of different designs was fantastic. 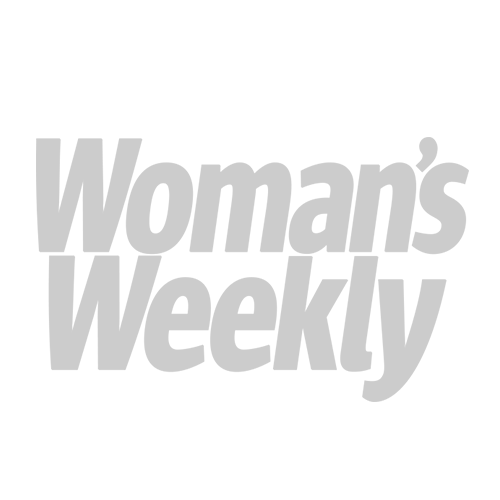 At the end of the day, our readers left delighted they had learnt new techniques that they could take away and use at home. It was a truly creative, fun day.